Here we all are, blithely stepping into anno domini or, if you prefer, Common Era 2013. 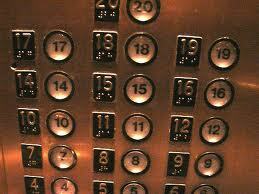 This number is very auspicious, because 13 is unusual in that it is associated with both good fortune and ill fortune. 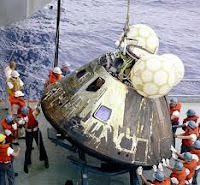 If you consider it a worrisome integer, think of the Munsters' home at 1313 Mockingbird Lane, Friday the thirteenth and the ill-fated Apollo 13 mission––although this last one seems "lucky" to me because the astronauts came home against great odds. On the other hand, the number 13 has special significance for many of the world's religions. The people of the Jewish faith are all descended from the 13 tribes of Israel. There were 13 people at the last supper of Christ. There are legends in Sikhism of a famed Guru who gave food to every thirteenth person. Early Tibetan kings were enthroned at the age of 13 and often ruled for a period of 13 years, to be succeeded by the next 13-year-old king. Perhaps I should also mention that there are 13 witches in a coven and that many of our ancient cultures lived with a 28-day lunar calendar of 13 months. We can't pretend there is no 13––like hotels, hospitals and tall buildings such as the Empire State building in which there is no floor numbered 13. Many airports skip the 13th gate. Airplanes have no 13th aisle. Hospitals and hotels regularly have no room number 13. There are plenty of cities without a 13th Street or a 13th Avenue. If you are a reader, number 13 can be a good thing. 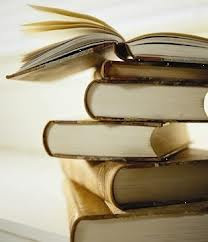 As a matter of fact, these days it seems like most of my reading comes from series and I have found that the thirteenth book can be one of the best. This is true of Andrea Camilleri's excellent The Potter's Field, reviewed here. It was the recipient of the 2012 International Dagger Award. Kerry Greenwood's The Castlemaine Murders, which was her 13th Phrynne Fisher story, was a finalist for the Ned Kelly Award for best novel. Nemesis was Agatha Christie's thirteenth Jane Marple story. 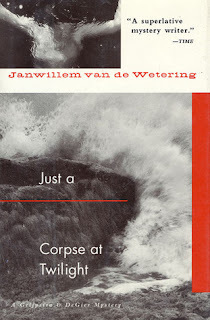 Just a Corpse at Twilight, by Janwillem van de Wetering, was a finalist for the Anthony Award for best mystery. 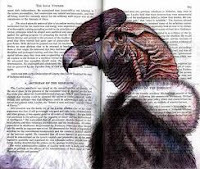 This has to be my favorite of the series, and it is the thirteenth in the series––if you count a book of short stories. The main characters, Amsterdam cops Henk Grijpstra and Rinus de Gier are back for the first book written after van de Wetering took a seven-year break. This was a time during which van de Wetering, who had become a heavy drinker, got his life in order. Grijpstra and de Gier have left the force, with de Gier moving to the Maine coast, while Grijpstra has become a PI who is quite selective about his cases. Much of de Gier's appearance and behavior seem to be modeled after van de Wetering, so it is appropriate that the story begins with a frantic phone call from de Gier to his former partner, telling him that, while under the influence of an experimental mixture of drugs and alcohol, he may have killed his girlfriend by kicking her off a cliff. A pair of dubious friends took the body away and they are now blackmailing him. Both Grijpstra and his old boss, the Commisaris, believe that de Gier is essentially a good man and can be helped. Grijpstra travels to Maine and, while the locals all think de Gier is from California, because of his dress and funny accent, Grijpstra is labeled as a Dutch man from Pennsylvania for the same reasons. The mystery is entertaining, but it is the little vignettes about the interactions of the Down-Easters and the Dutch that bring the story to life. Another favorite 13 of mine is A Cold Touch of Ice, by Michael Pearce. It takes place in Egypt, during the year 1912, when rising nationalistic fervor is making the work of Gareth Owen more complicated. Owen is the Mamur Zapt, the British chief of the secret police in Cairo. Years ago, the British stepped into Egyptian affairs after a call for help from the Khedive, who was the Egyptian ruler and who was concerned about the financial stability of the area. The British have settled in very nicely now, thank you very much, and even though things are better they seem to have put down roots! The current problems that are heating up an already very warm climate are stemming from a war that has broken out between the Ottoman Empire and Italy over the territories now known as Libya. 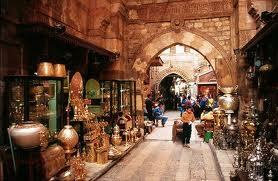 The Ottoman Empire was the major controlling force in Egypt, and the Cairenes favored their position. While there are many Italians living in Cairo, anti-Italian feelings are growing. When an Italian man, Morelli, who had lived and worked in Egypt for decades is murdered, Gareth Owen and his friend Mahmoud of the Egyptian law enforcement want to solve this murder quickly, before the situation becomes more inflamed. 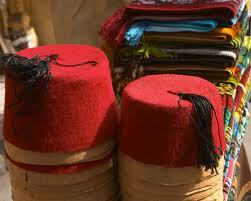 Morelli had run an auction house in Cairo for a few generations and considered himself a Cairene. His friends were all Egyptian and he spent most evenings with them in a café, playing a board game. One day after work, he was strangled on his way to the game. Was the murder because of his nationality or because of something overheard in a back alley about guns? A backdrop of the story reveals, in a subtle way, that integration into a society can be reversed in mere days, as rumors spread and nationalistic feelings surface, jeopardizing longstanding friendships and instilling suspicion that no one can be taken at face value. 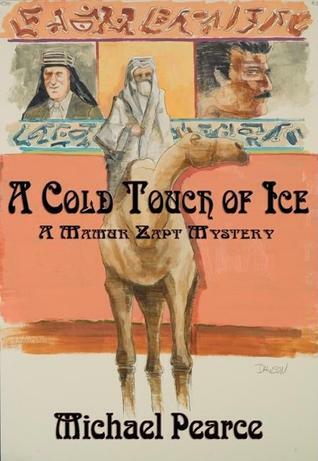 In A Cold Touch of Ice, the title primarily refers to the ice that is so hard to keep on hand in an early twentieth-century Cairo summer. 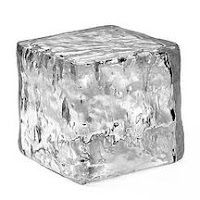 It also alludes to the shaft of cold that can spread through a community, hardening better feelings. The problems are often generational. The older people in a community are more likely to keep a friend they have known since their youth, while the younger hotheads simply look for targets to vent their anger on. This story covers the time when the famous Lord Kitchener became the British consul in Cairo, and when T. E. Lawrence, the archaeologist, was settling into the early part of his fame. The sights and scenes of Cairo, the heightened tensions of war times, gunrunning, spying, secret brotherhoods, all combine to make this an interesting and exciting story. I always take home a great deal more than a mystery's resolution when I read Michael Pearce. It is a trip to a different time and place that is enlightening. There are a few more number 13s that I look forward to reading. Steven F. Havill's A Discount for Death is on the top of my TBR list, as is Donna Leon's Doctored Evidence. 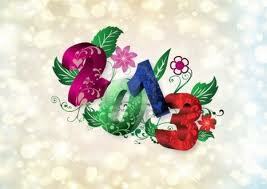 So I stand by the hope that the coming year will be lucky 2013.